If a dog could blog, would a dog blog about logs? You are currently browsing the tag archive for the ‘downtown sioux falls’ tag. 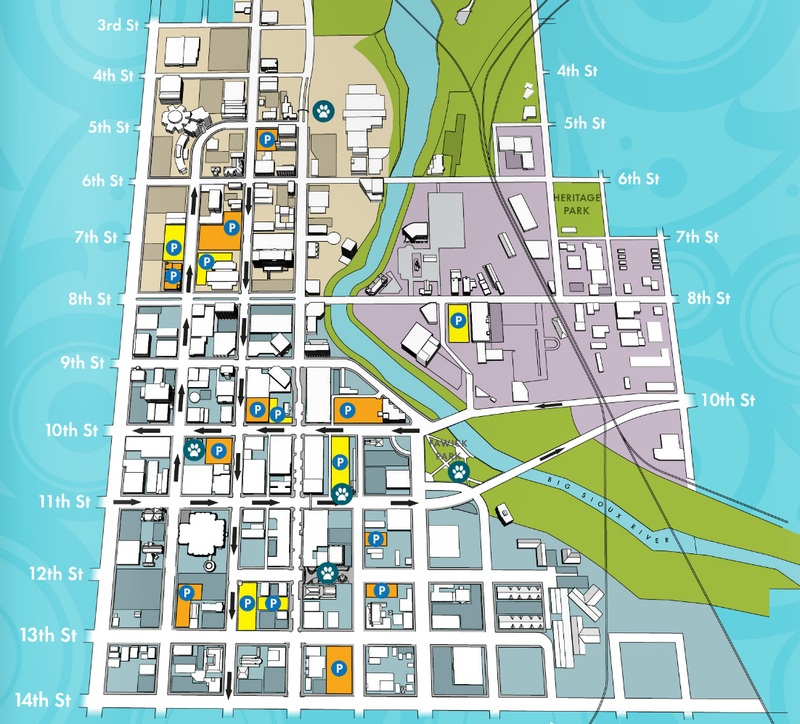 The next time you’re walking your best friend around downtown Sioux Falls it’ll be easier to take care of your dog doo. DooGooders teamed up with Downtown Sioux Falls, Inc. and Jans Corporation to install five dog doo drop-off stations. Help yourself to oxo-biodegradable bags from PooPrints, leave them at one of our stations and help us continue to doo good with poo! You can read more about the dog doo project here. The dog doo stations are marked with a dog paw on the map below.